From a stunning wedding dress to a moving sermon, these were the standout moments from the royal wedding. 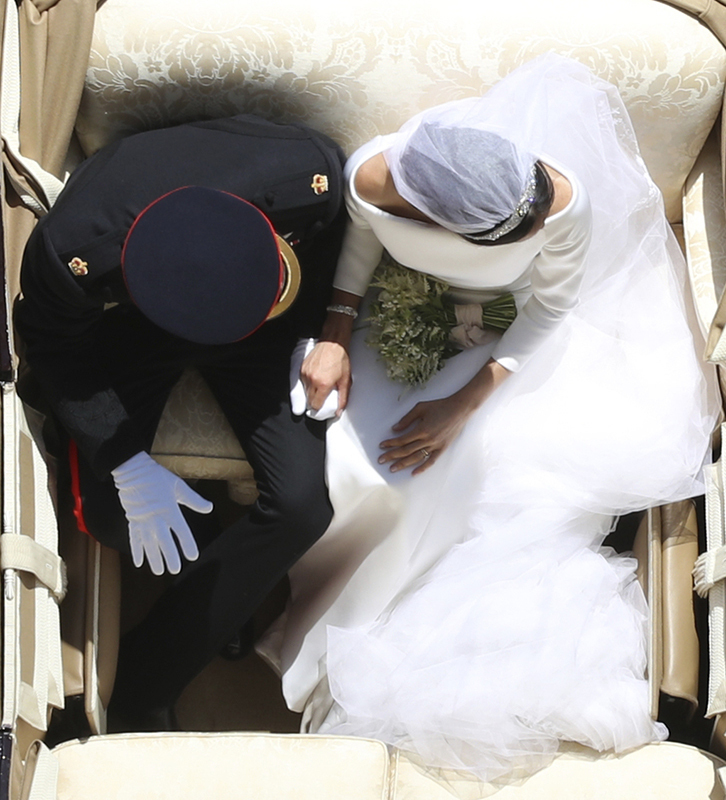 WINDSOR, England -- A photo from the royal wedding that some are calling "Princess Diana's view" has captured the world's heart, and now the photographer responsible for the shot is telling all. Yui Mok, a photographer working for the Press Association in England, told Town and Country Magazine that the iconic photo wasn't even part of his original assignment. Mok, one of 22 Press Association photographers assigned to cover the wedding, said he spent hours waiting on the roof of the George IV Gateway before the actual procession began. He was originally assigned to shoot wide shots of the carriage procession as it traveled down the long walk with thousands of well-wishers on each side. Watching other vehicles pass beneath him in the time spent waiting gave Mok the idea to shoot from directly above. When the moment finally came, Mok had barely any time to take the iconic photo, and the couple's carriage had to be aligned perfectly with his spot on the gateway for everything to work out. Britain's Prince Harry and Meghan Markle hold hands as they leave in a carriage after their wedding ceremony at St. George's Chapel in Windsor Castle. "The carriage took less than a second to pass underneath me, and in that time I had managed to shoot five frames, one of which would end up as one of the most memorable photos of the whole wedding," Mok told Town and Country. Commenters on social media have dubbed the photo "Princess Diana's View," a nod to the notion that Harry's late mother was watching the royal wedding from above. Others have also pointed out that, from that vantage point, Markle and Harry's bodies formed a heart shape as they held hands with their thighs pressed together. "There was a lot of luck, coupled with judgment and risk, involved in the making of this image, but often in photography that's how the most memorable photographs come about!" he added. When asked why the shot resonated with so many people, Mok told the magazine that his shot stood out from the rest for its intimacy and relatability. "Maybe people see this as a more intimate moment, the fact that you can see them holding hands. From this overhead view they remain faceless, but maybe that means people can project whatever emotions they feel onto them, or it adds that little element of mystery," he said.